The revival of a 17th-century home in the artisan town of Pátzcuaro was the longtime ambition of owner Priscilla Madsen. Aptly named for that fulfillment, Mansión de los Sueños (house of dreams), located a short walk from the main plaza, now stands proudly as a reminder of the splendor this city, deeply imprinted by indigenous and colonial cultures, has known in other eras. Local craftsmen have respected architectural details in the restoration of the beam and "tejamanil" ceilings, extensive masonry, adobe walls and superb iron fountain. Three neoclassic-styled stone balconies announce the hotel invitingly to arriving guests. All 12 suites have different arrangements of elegant furnishings, paintings and murals, appropriately enriched with regional handicrafts. Each has a fireplace to soften the nip of cooler evenings in a climate considered eternal spring. Creature comforts extend to an outdoor Jacuzzi and aromatherapy massage services. 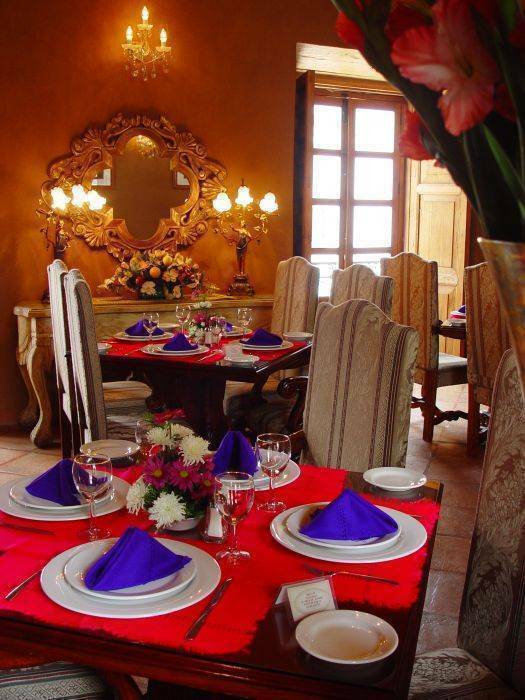 Two restaurants at La Mansión de los Sueños offer international and Mexican cuisine, respectively, with live music adding flare and festivity to the gastronomic experience over the weekends. 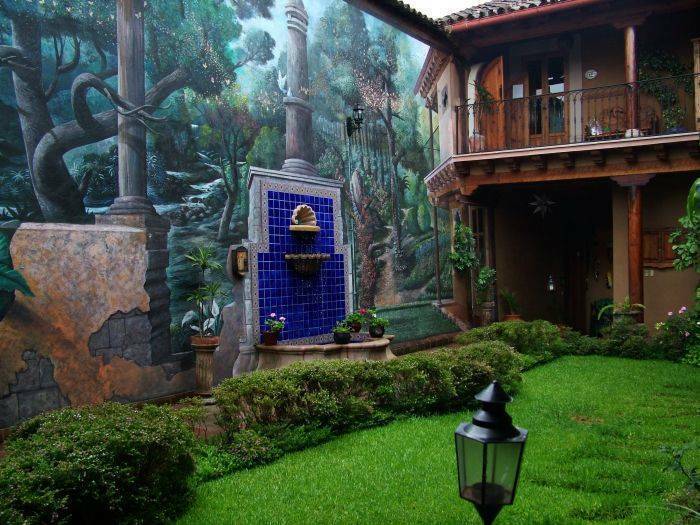 Some with fireplaces, elegant furniture, beautiful paintings and murals, all rooms are differently decorated and specially detailed. 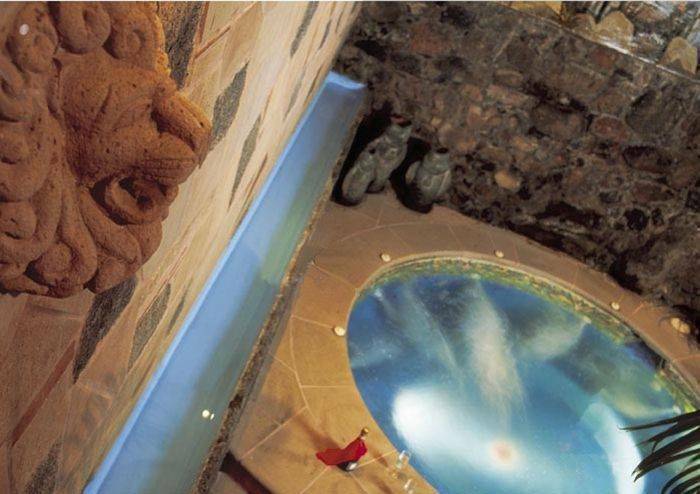 Junior Suite All 10 suites have different arrangements of elegant furnishings, paintings and murals, appropriately enriched with regional handcrafts. Each has a fireplace to soften the nip of cooler evenings, some accomodation have a extra sofa bed (for the kids). 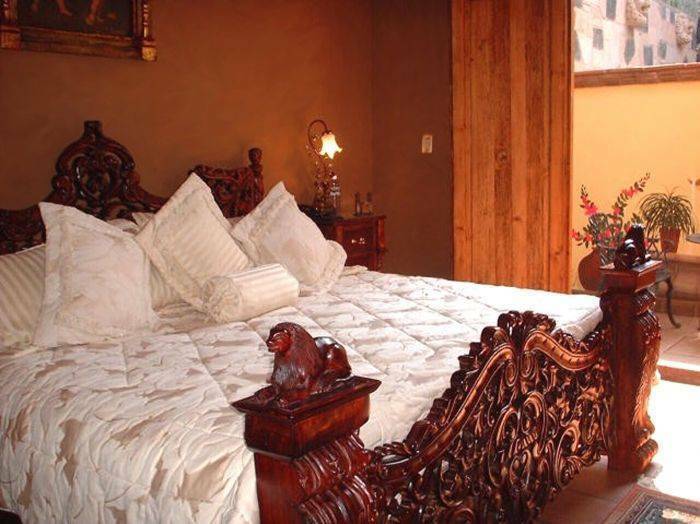 King Size bed, some of the accommodations have an extra sofa bed (for the kids), roomy luxury bathrooms, elegant furniture and beauty murals. Master Suite The 02 suites have King Size bed, With extra sofa bed (for the kids), living room, roomy luxury bathrooms, elegant furniture and beauty murals. Dawntown of Pátzcuaro, Colonial town. 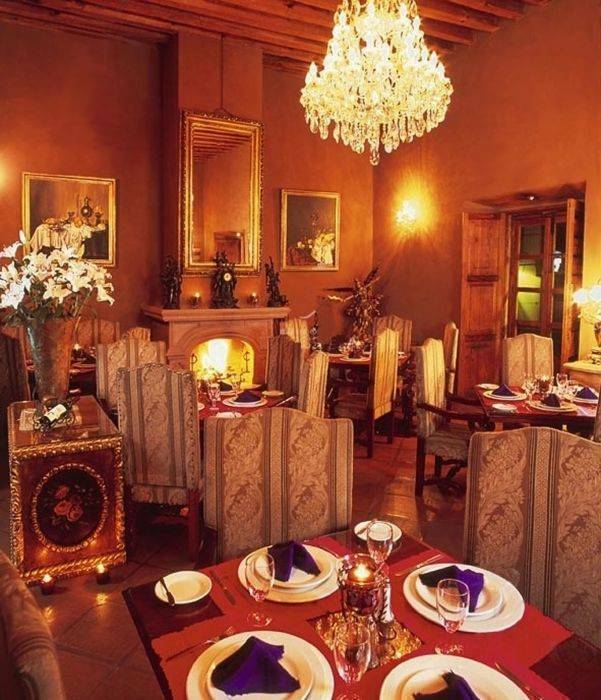 Enjoy a selection of succulent international specialties in an elegant colonial setting. 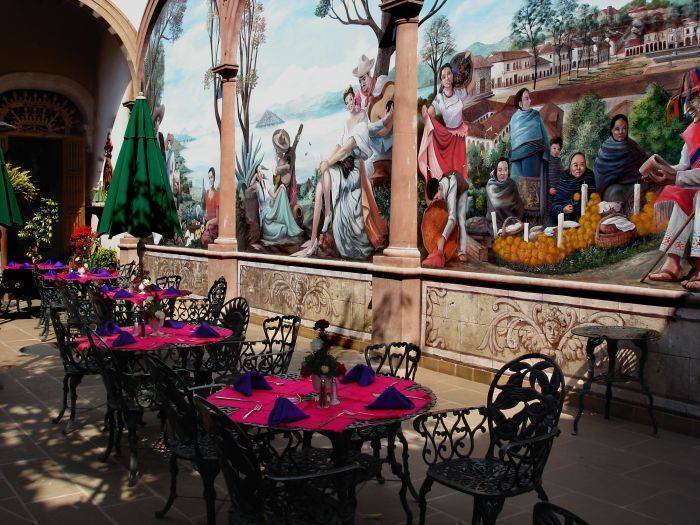 A celebration of Mexican cuisine served in a traditional setting. A credit card is required to guarantee reservations. Holiday season: 50% deposit will be charged to credit card 21 days prior to arrival, remaining 50% will be charged 7 days prior to arrival. Regular Season: Cancellations received less than 7 days prior to arrival date will be charged with 50% of the entire stay. Holiday Seasons: (Holy Week, Day of the Dead, Christmas and New Year Eve) Cancellations received less than 21 days prior to arrival date will be charged 50% of the complete stay. No shows or last minute cancellations will result in forfeiture of the entire stay. Cancellations received one day prior to arrival and early departures are considered last minute cancellations. Ibarra # 15, Dawntown of Pátzcuaro, near Plaza Vasco de Quiroga.